Inbetween planting nettles, building straight roads and founding London, the Romans found time to introduce the idea of mustard to us barbaric Brits. 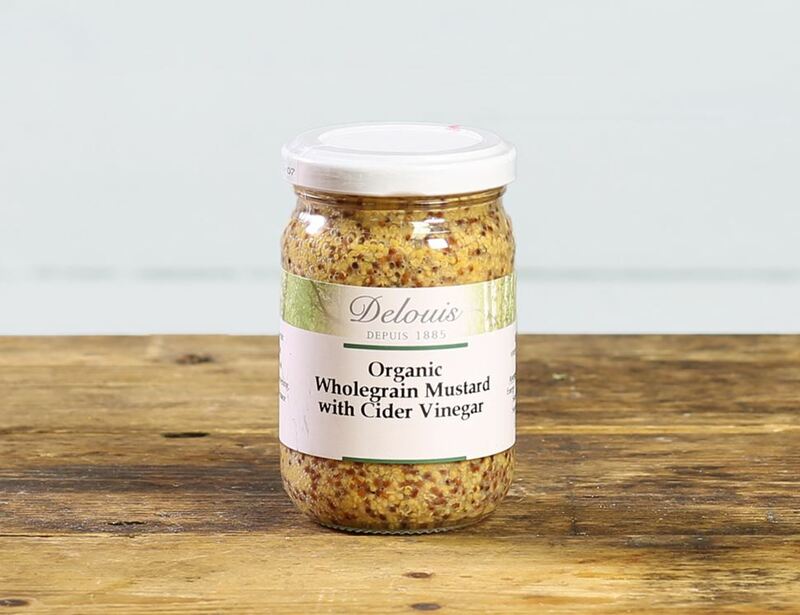 We’re much more sophisticated now, of course, which is why we have sophisticated mustards like this one from Delouis. Carefully handmade, it’s not too hot, yet still adds a punch of flavour to a dish. What began in 1885 by Georges Delouis with crafting vinegar transformer a few decades later in 1976 when Philippe, his grandson, started making vinaigrettes, sauces, mayonnaise and of course, mustard. Delouis believe in innovation whilst keeping to the traditional French flavours and methods of production. Store in a cool dry cupboard / Larder. Once opened please keep refrigerated.